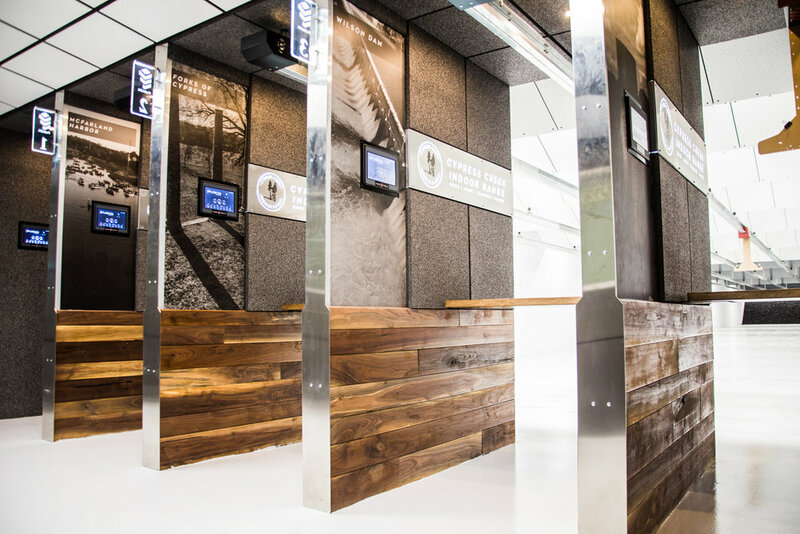 Come and shoot in one of our ten personalized shootings stalls! We offer five stalls that are 50 yards and five at 25 yards. All stalls are equipped with state of the art target retrievers which give you the flexibility and convenience of shooting at precise distances. Each stall is rented by the hour, and can be used by no more than two people during that hour. Lane Rental fee for Non-Members: $20 / Hour (First come, first served.) To share the lane with an extra person costs an additional $10. *Targets, eye protection, and ear protection not included in lane rental fee. All shooters start by checking in at the Rental Counter where a helpful associate will get them set up to have fun. Shooters will sign some paperwork, pick out their targets and anything else they may need, and then move to their lane! For comfort and safety, Cypress Creek Indoor Range suggests that you do not wear loose necked shirts or open toed shoes. Everyone must sign a Range Rules & Waiver before they can shoot in the range. 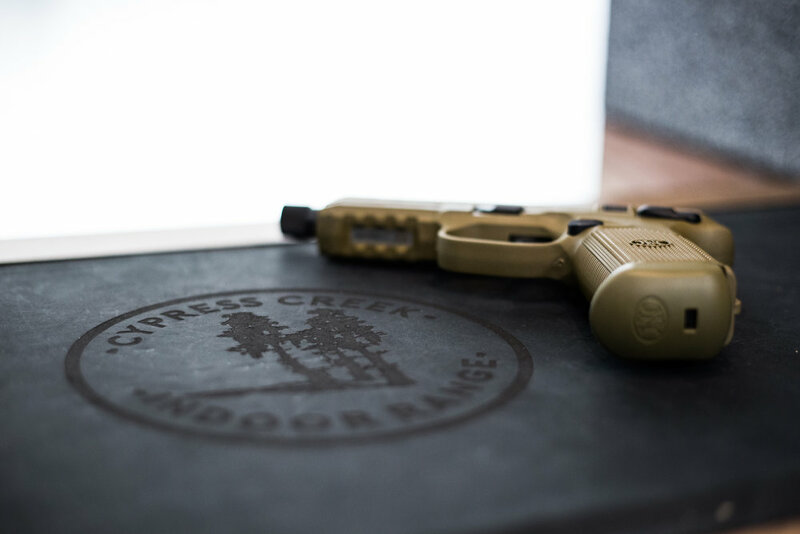 At Cypress Creek Indoor Range, we have 2500 square feet of retail space. We carry a wide selection of weapons, ammunition and accessories. Our inventory is constantly updated to meet the needs of our customers. If you don’t see what you are looking for, just ask! We also have an easy Layaway plan. Not sure how you will like a specific gun? At Cypress Creek Indoor Range you can test drive a gun before you buy it! For $20, you can fire 10 rounds through a pistol (includes ammunition, one basic target, use of hearing protection and range time for the 10 rounds) or for $25 you can do the same with a long gun. If you decide to purchase the gun immediately after the Test Drive, the price of your test drive comes off the price of the gun. Not sure what gun will fit your specific needs? Unsure about where to even start? We are here to help. Allow one of our knowledgeable instructors to spend personalized time with you to help you determine your needs and the right gun for you. - One-on-one time with an instructor to determine your needs and options. - Personalized instruction and training to ensure your knowledge and comfort with the gun you choose. We have an extensive fleet of guns that are available to be rented for your fun and convenience. Whether you want to shoot a .380 pistol or a .308 long gun, we have you covered. We have 80+ weapons, 2 machine guns and 3 suppressors available for a fun experience. *Range time, ammunition, and targets not included in rental fee. All ammo used in rental guns must be purchased through Cypress Creek Indoor Range.